For any expectant parent, going for an ultrasound scan is an exciting event. They will see their fetus’s heartbeat, and maybe they will even recognise that turned-up nose that runs in the family! However, for some parents the ultrasound will end with the harrowing news that the fetus is not developing normally. Often, fetal abnormalities are caused by a genetic change, called a variant, in the DNA of the fetus. It is helpful to know which variant caused the abnormalities, because then doctors will have a better idea of what to expect and how likely it is that the same problem will happen in subsequent pregnancies. Currently, a technique called array-based comparative genomic hybridisation (aCGH) is used to look for these variants. The problem is that aCGH can only find big variants that affect whole chunks of DNA, and it only finds the variation that caused the abnormality in about 10 per cent of cases. We wondered whether some fetal abnormalities could be caused by changes to single units (nucleotides) of DNA, which are too small to be detected by aCGH. We collected DNA samples from 30 fetuses with abnormalities that had been identified by ultrasound, and from both parents. Some abnormalities were relatively minor and treatable, like a cleft lip but others were very severe, such as a missing bladder or multiple heart defects. 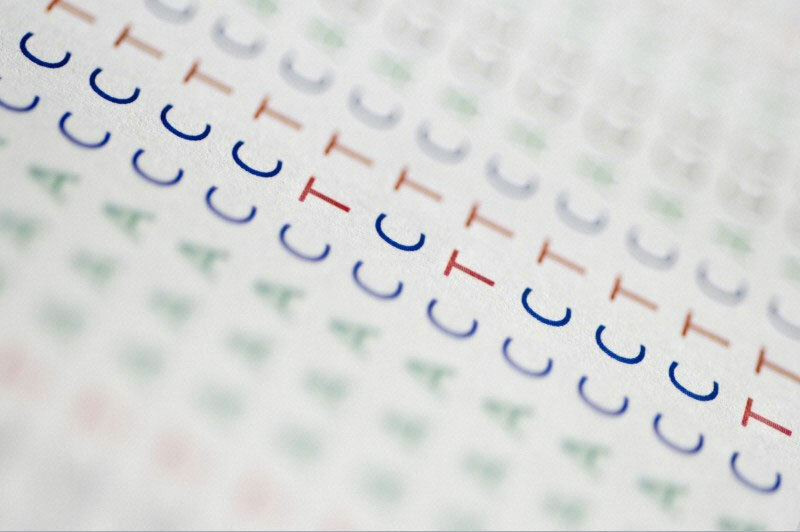 Using a technique called exome sequencing, we examined the samples and were able to find variants that affect single nucleotides of DNA. For three of the fetuses (10 per cent) we found variants that caused their abnormalities. For example, one fetus had very short limbs and ribs. There was a variant that affected a gene called FGFR3 in this case. Normally, when FGFR3 is switched on, bone growth is suppressed. The variant we found causes FGFR3 to be overactive, so bone growth is suppressed too much. Neither parent had this variant, meaning the genetic change must have occurred in the sperm or egg itself. This is good news as it means the chance of the same thing happening in a subsequent pregnancy is very small. For five of the fetuses (17 per cent) we found variants that might have caused their abnormalities. For example, one fetus had a problem with the shape of the nerve cells in the brain. In this case, there were two variants in a gene called MACF1, one inherited from the mother and one from the father. Such variants can cause similar problems with nerve cells in mice. However, because MACF1 variants have not previously been shown to cause disease in humans, this needs to be confirmed. For the first time, we have shown that exome sequencing is at least as good as aCGH at finding the cause of fetal abnormalities. Importantly, exome sequencing identifies smaller genetic changes than aCGH, so by using the two techniques together one could find the cause of abnormalities for more fetuses than by using aCGH alone. Ultimately, this study should pave the way for exome sequencing to be used more widely for prenatal diagnostics, which will enable more parents who are in this dreadful situation to make informed decisions. Keren Carss uses exome sequencing to identify genes that cause developmental disease, and zebrafish embryos to model those genes.